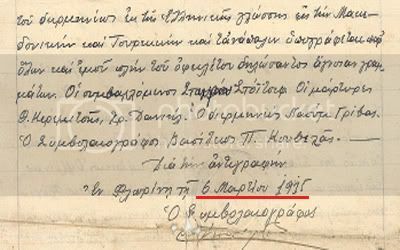 Recently a new attempt from FYROM’s propaganda machine was made to prove triumphantly the existence of “Macedonian language” from an ‘original document’, as the propagandists claimed of 1915. 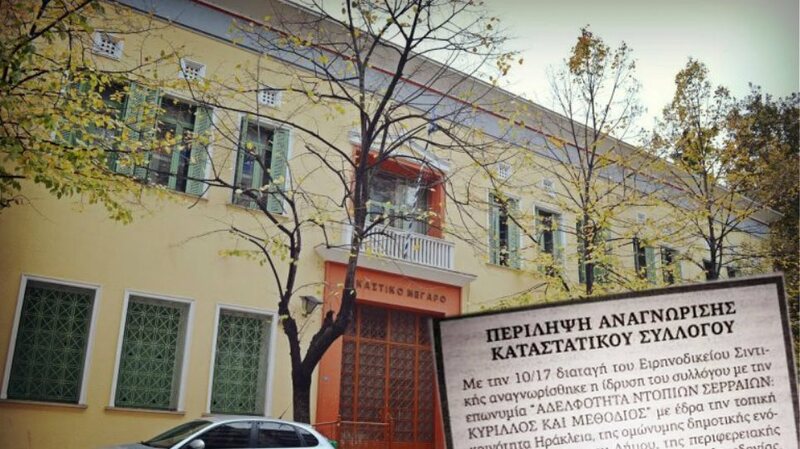 The so-called “original greek document which contradicted Athens” was published by a newspaper in FYROM while “Translated and edited” (lol!) by…who else…Risto Stefov. 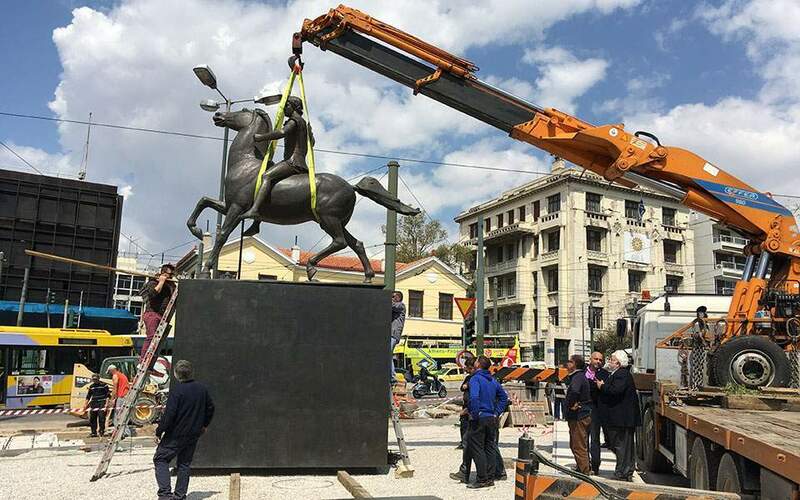 Of course the new “amazing discovery” was spread in the net through the usual propagandistic FYROM sites. I noticed the two (???) parts of the “original document” (see above) and could hardly kept myself from laughing with the inherent imbecibility these propagandists carry. while in the second part of this “original” document the date is comically…quite different!!! 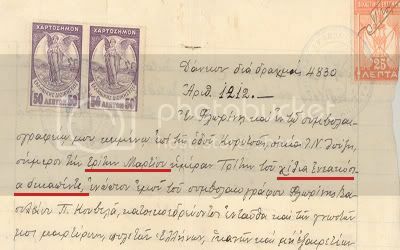 “6 Μαρτίου, 19(1? )5” (transl: 6 March, 19(1?)5). 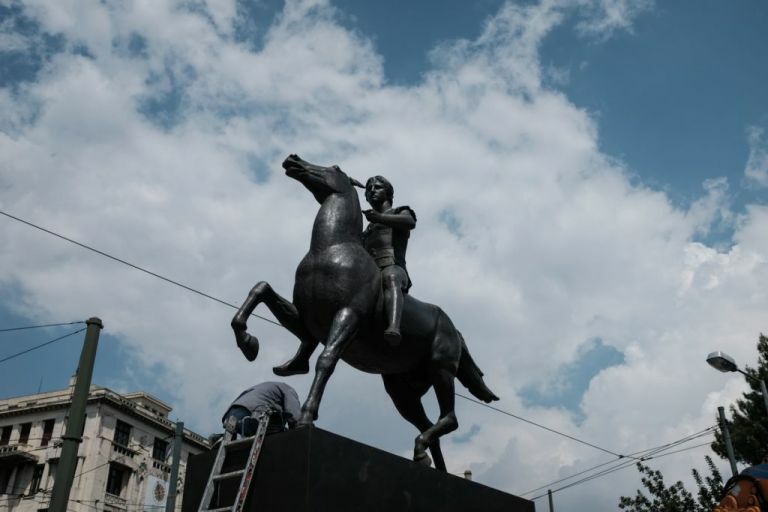 Conclusion: The entire pathetic attempt of FYROM propagandists to construct a new forgery proved to be quite ineffectual, not to mention fatuous and comes to prove for once more FYROM’s pitiful propaganda is not going to stop in the near future but will keep up creating such an embarrassing collection of ludicrous fabrications. I had the best day of the year so far. I never thought it was possible to have such a good laugh with the gibberish of our northern Slavic friends. The problem is that they are indoctrinated to lie from their childhood. As you all know if you repeat lies, in the end the lies become a reality. 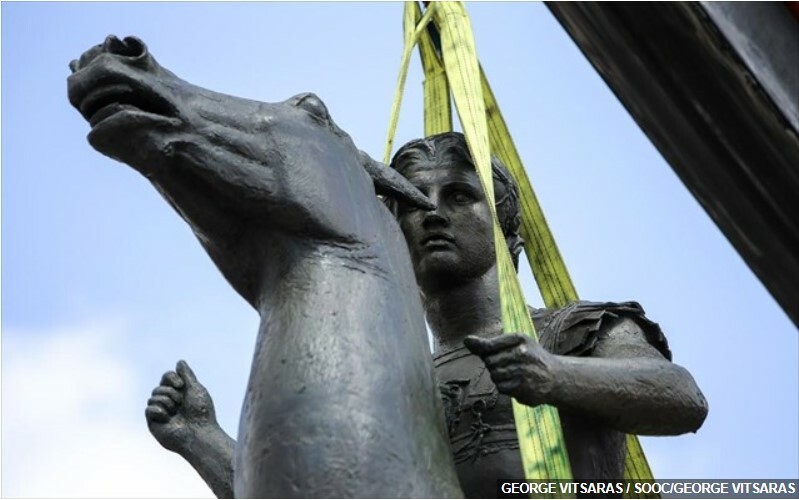 Thats what happened with Skopjans. Lies became an obsession to them. They cant face truth, neither reality. They will remain LIARS all of their lives. To any who is human and would like to understand and listen to another human. i can’t understant what is wrong with these people. 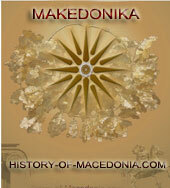 They send us in hell out of our Macedonia? We are acussed of all these crimes and that we occupy their lands? 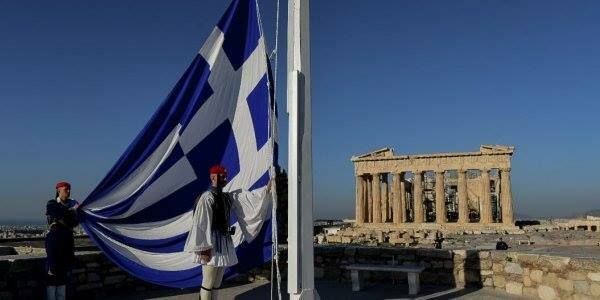 Greece have 95% of the historic ancient Macedonia. They hold our land.